Item : CVA 90-4 - Arch at Georgia Street and Granville Street. Arch at Georgia Street and Granville Street. 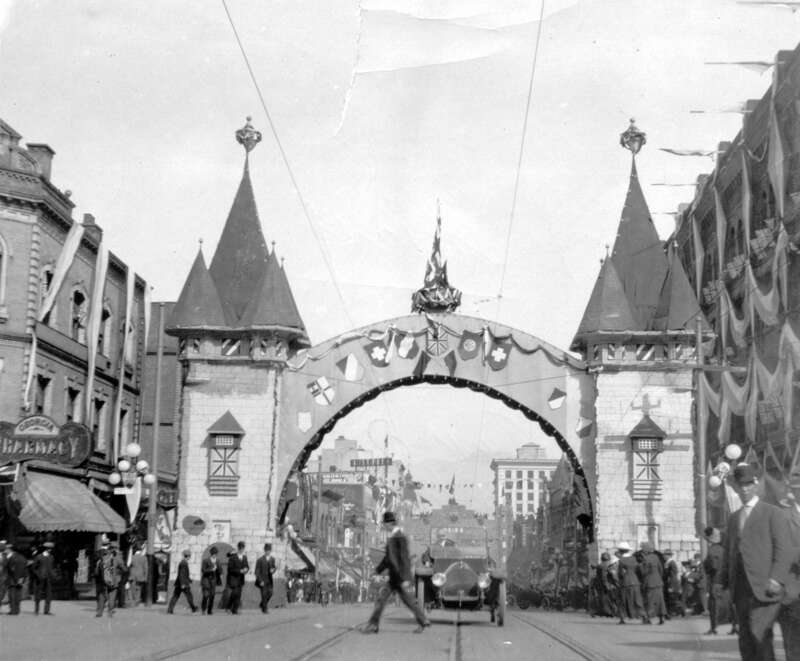 Item is a photograph facing north, showing an arch at Georgia and Granville Streets, erected for the Duke of Connaught's 1912 visit.